If you opt not to use a platform or an agency for your influencer marketing then you will have to build up relationships with influencers yourself. To do this, you first need to identify the influencers that rule your niche. If you are an active online participant in your niche you may already have a good idea who are the best influencers. In other cases, you will have to carry out considerable research first. Luckily there are a variety of influencer marketing tools to help you in your quest. We have selected 15 tools here that are either free or freemium. The freemium tools are tools that need you to pay to access most of their features. But, they also offer limited capabilities for free. In case you are looking for an agency to run your campaign - go ahead and use our agency matching form below and you will be matched with the most appropriate agency for your needs. You will have to consider where you hope to find your potential influencers. Many operate on social media, so some of these tools focus on finding the important people in the social media channels. You should first consider where your target audience spends its time. If you target older people, for instance, you will often look for influencers in Facebook groups talking about your niche. If your target market is teenagers, then you may focus more on Snapchat, Youtube or Instagram. Many influencers have gained their fame from blogs they write. We have a few tools here that help you find the influential bloggers in your niche. You will also find influential people for some niches who have gained their fame through podcasts. So we also include a tool to help you find the most popular podcasters. 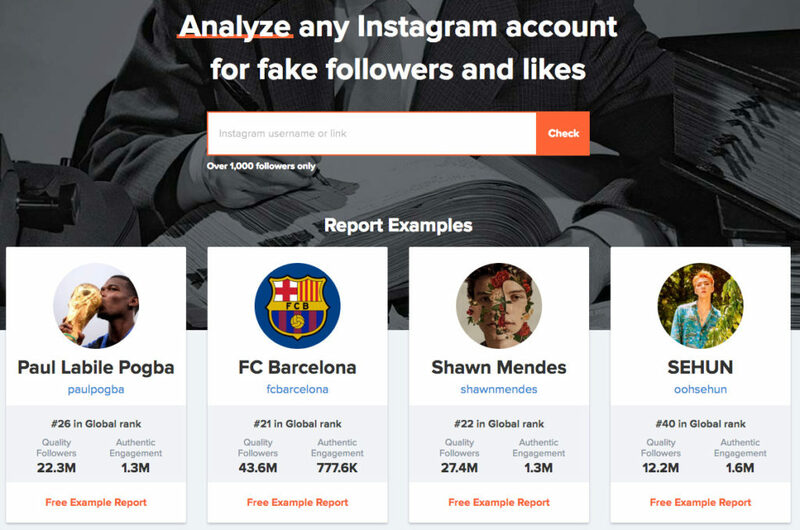 You can use HypeAuditor to determine the top Instagram influencers ranking by the number of quality and engaged followers. HypeAuditor’s AI analyses thoroughly and ranks bloggers by quality followers and authentic engagement. They gather raw data from different sources, depersonalize and clusterize it. They take only real followers and likes from them into consideration. The algorithm then ranks influencers and forms the global top influencers’ lists, updated daily. You can either select a list of the top 1000 influencers, covering all niches or alternatively break the list into one of 14 categories. In turn, you can either select influencer lists covering all countries, or select a list only including influencers from one of 17 selected countries. If you click on any influencer, you will be taken to a page giving additional information and statistics relating to their Instagram performance, Audience Quality Score, demographics of their followers, and engagement. Discover.ly is a Chrome plugin that helps you with your networking. 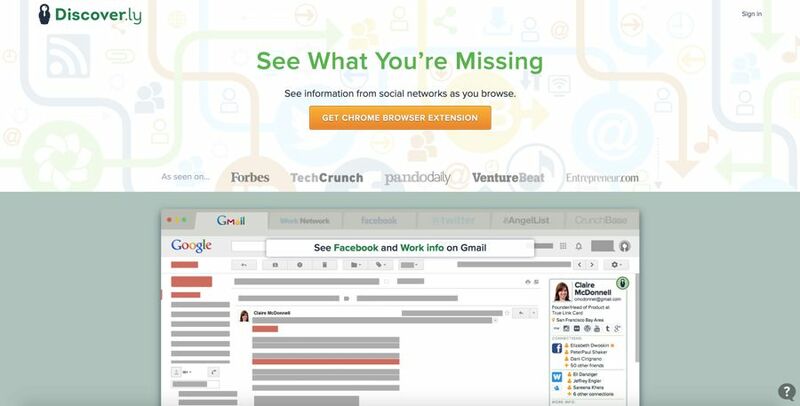 You can use it to see your email recipients, LinkedIn and Facebook connections’ social accounts and updates in a sidebar. This means, for instance, that you can see mutual Facebook friends for somebody you connect with on LinkedIn. Indeed you can also see your connections’ social media accounts on a wide range of other social media channels and platforms. These include Google+, Klout, Angel base, FourSquare, and Behance. One use for Discover.ly is to see if any of your existing contacts have connections with influencers in your niche. If you find any connections you could then leverage your contacts to introduce you the influencers. Tweetdeck is Twitter’s free social media dashboard to help you manage all your tweets. You can set it to display any of your Twitter timeline items, mentions, direct messages, lists, trends, favorites, search results, or hashtags. 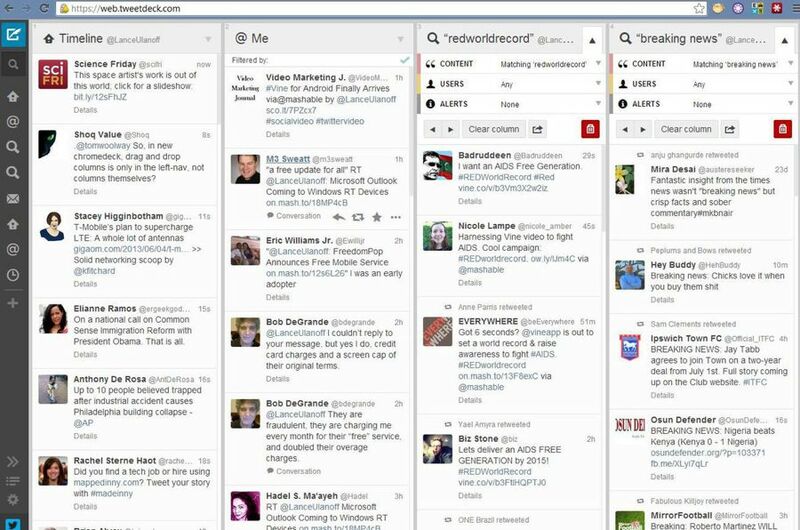 You can control up to 200 Twitter accounts via the Tweetdeck dashboard. Tweetdeck has very powerful search capabilities. You can use Tweetdeck to track mentions of your competition. 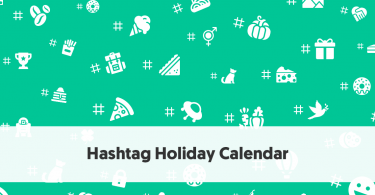 You can also use it to find used of particular hashtag, which in turn can help you find influencers. You can also search by the number of retweets. People whose tweets are retweeted multiple times are likely to have some influence. Tweetdeck can alert you whenever one of your followers adds a new person to their list. You could take a close look at these people to see if they are worth investigating as a potential influencer. You can also use Tweetdeck to see how many lists particular people are on. This could be a useful sign about how influential other people believe them to be. Social Crawlytics allows you to track content and competitors. You can use it to discover which posts are the most popular and shared on particular websites. Unlike some other social monitoring sites, you run reports on Social Crawlytics by particular domains. So, for instance, you can analyze your competitors to determine what has been their most successful content and how people have shared it. At the beginning, Social Crawlytics gives you 2,500 credits to use. Each URL you crawl costs you a certain number of credits. Some of your credits regenerate each week, and you also gain bonus credits by sending a tweet on behalf of Social Crawlytics. 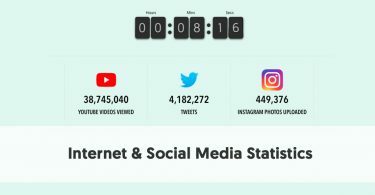 The Social Crawlytics report is quite detailed about the social performance of the crawled site. 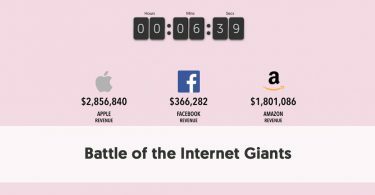 This includes details of the top authors and their total number of shares. This could give you possible influencers. If you are looking for influential blogs, a Google search can be something of a hit or miss affair. It records all different types of websites in its results, and blogs are mixed in with everything else, from sales pages to forums. Alltop can help you here as it simply aggregates blog posts. It is curated by people, not by an algorithm, who search for the top blog posts each day in particular niches. You can use it to find the top posts in your niche, which should help give you an idea of the most influential blogs on your topic. When we talk about influencer marketing we rarely think about podcasting. But podcasting has grown dramatically over the last few years, and quite a few influencers now host their own regular podcast show. The easiest way to listen to podcasts on iOS devices is via iTunes. On Android, Stitcher is a well-rated app for this purpose. But, these apps are not so good at helping you find the most influential podcasters in your niche. 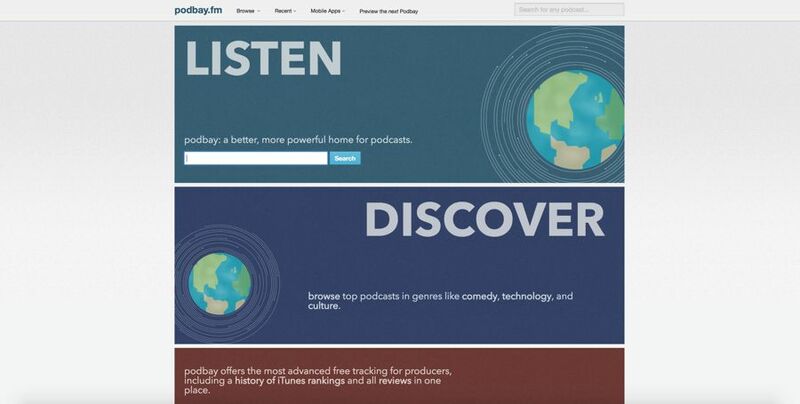 Podbay.fm is useful because it ranks podcasts within various genres. Search for the category that best fits your niche. You may want to find a podcast that uses an interview format so you can request the host to add you to the relevant podcast’s interview list. If it is not obvious from the description on Podbay.fm whether a particular podcast uses an interview format or not you can search for the podcast on iTunes or Stitcher. You can then check its format and suitability for your purposes. Klout has reduced its offerings in recent years, but it still is well known and gives you a good idea about how influential somebody is on social media. It gives everybody who is active in social media a score between 1 and 100. The more influential Klout believes you to be, the higher your score. The average person who is active in social media has a Klout Score of 40. True influencers score much higher than that. Celebrities such as Katy Perry (92) and Justin Bieber (91) score particularly highly. Donald Trump’s Klout score is 94, although Barack Obama still enjoys an extraordinary Klout Score of 99. An easy way to find somebody's Klout score is to download the Klout extension for Chrome. When you do this, you will see everybody’s Klout score appears beside their name when you go into your Twitter account. 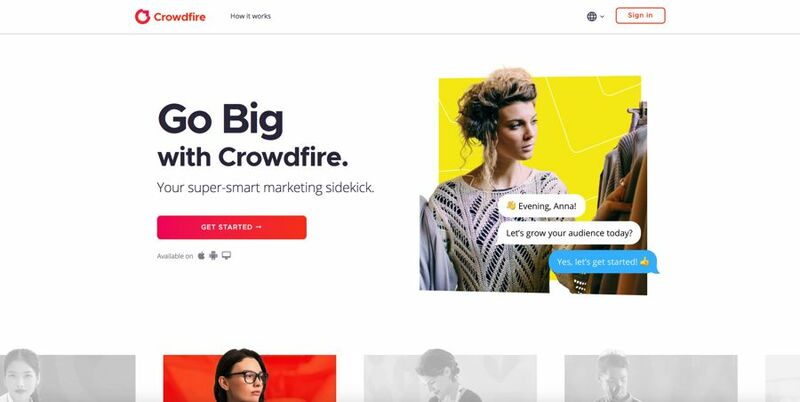 Crowdfire is a freemium program. You can work with two social media accounts for free but you have to pay for more accounts. You can use it to target followers on Twitter and Instagram, although it’s Instagram capabilities were reduced this year (2017), due to changes in the Instagram API. Crowdfire can help you find users to follow on Twitter and Instagram who are relevant to your niche. It can also help you keep track of how particular types of posts impact on your follower and unfollower rates (on Twitter at least). While Full Contact is not targeted at influencer marketing it does have features that will help you keep track of your influencers. It is technically a contact management solution. You are likely to build up a mix of possible influencers across blogs, podcasts, YouTube and social media. You may even know some of them in person. Full Contact helps you keep track of your influencers’ details. Full Contact allows you to link all your contact-carrying accounts, e.g. Google, Facebook, Twitter, LinkedIn, your phone, and anywhere else you keep contacts. The service then creates one centralized contacts book. This merges your contacts, removing any duplicates and fills in any extra information it can find about your contacts from the internet. Be aware, though, that the free Testing version only allows you to match up 100 people and 100 companies per month. The lowest of the paid levels, Starter, allows 2,500 people and 2,500 companies per month (for a $99 per month charge). If you wish to find and record details on potential influencers on the free plan you will need to be careful which accounts (and lists of contacts) you link to Full Contact, to keep within your limit. 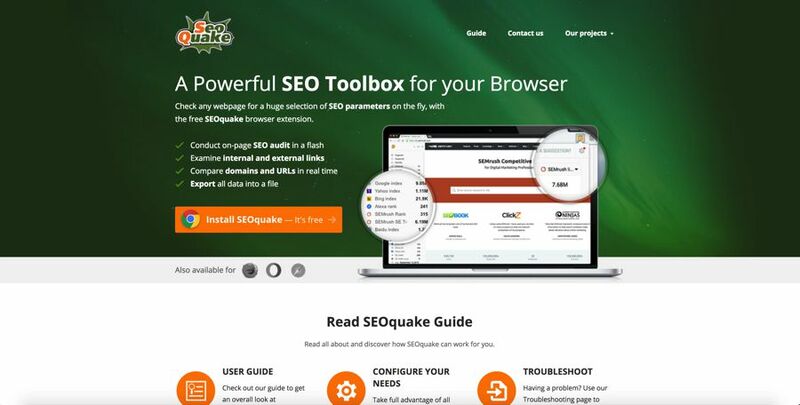 SEOquake is a free browser add-on you can use for quite a few SEO purposes. It includes the SEObar which you can use whenever you go to a website of a potential influencer. SEObar gives you an instant summary of a website’s strength. This is a wealth of information which can be of great value, particularly if you are looking for influential sites to work with. The stats provided include a site’s Alexa Rank, Google Index, Bing Index, SEMrush Rank and many other relevant analytics. 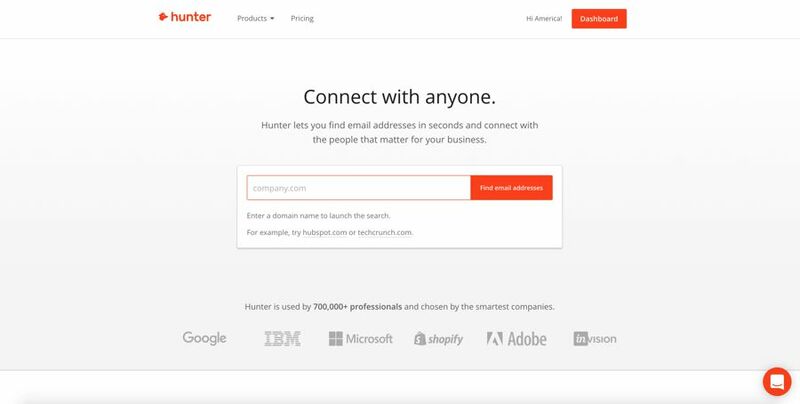 Hunter.io finds email addresses for you. You can undertake 100 searches per month on the free plan. You enter a domain name into their search engine and Hunter.io will do its best to find the email addresses attached to that domain. Hunter.io can be particularly helpful for finding the email addresses of people who may be of value to your organization. For instance, as part of your influencer campaign, you may wish to ask for a guest blogging post on an influential blog in your niche. It can be difficult at times to find the correct email address when you need to approach them with your request. You can enter a person’s name company website into Hunter.io, and it will come up with a suggested email address. If you think you have a valid email address to follow up but are unsure, you can enter the address into Hunter.io, and it will determine whether the email address is valid. You can also use Hunter.io as a plug-in. In this case, when you go to a particular website you can click on the Hunter.io icon in your browser and it will find any valid email addresses attached to that domain. While you won’t be able to find any influencers using Personapp you can use it to help you determine the types of people you should search for to be influencers. If you have received any marketing or sales training you will probably have had the importance of personas drummed into you. You are always told to draw up personas for your ideal customers. Manufacturers are also encouraged to draw up persons of the ideal users of their product. The same can as easily be done for influencer marketing. If you spend time thinking up the persona of your ideal influencer, it could save you a considerable amount of time. Too many businesses have waste time and energy chasing after influencers who are not ideal for their business. Just because somebody exerts influence online does not mean that they will be of real benefit to your business. For influencer marketing to be successful you need to find influencers who influence the types of people who make up your target audience. 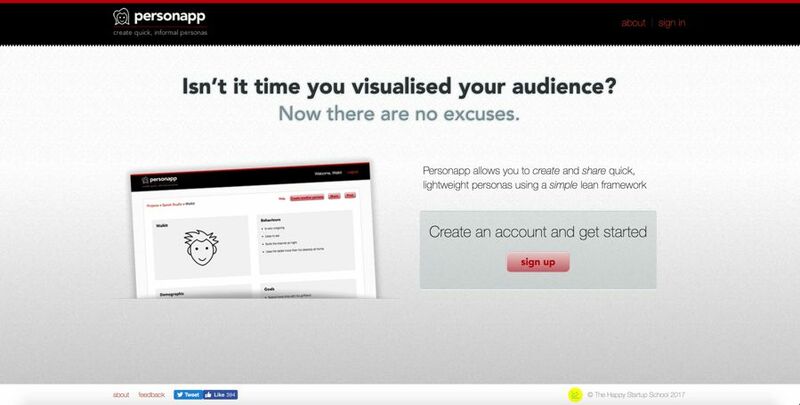 Personapp helps you to create personas for your ideal influencers. It leads you through the persona creation process step-by-step, covering such factors as behavior patterns, goals, needs, attitudes, beliefs, workflow, skills, and environment. SimilarWeb can be particularly useful if you are trying to find out the demographics that relate particular bloggers. SimilarWeb provides extensive website, industry and app analysis. While you need a paid plan to use SimilarWeb on a frequent basis, they do offer a free plan where you can order a free report about any website or app. The free version offers you 5 results per metric, 1 month of mobile app data and 3 months of web traffic data. Obviously, you will want to use other tools to determine which potential influencers’ sites you wish to investigate first before you use up your free allocation of Similar.web research. Buzzsumo is very much a freemium product. You can use it for free, but the limited results shown by the free account quickly leaves you wishing you had a paid version. 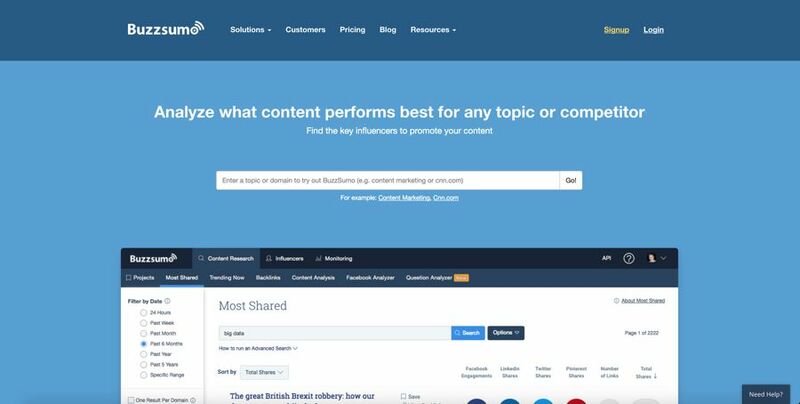 Buzzsumo is excellent for showing what is popular on social media. It can show you which content any business shares most, which is great for checking out what was successful for your competitors. Alternatively, you can search by niche. It will show you which items of content were shared most on social media about particular topics. However, Buzzsumo does more than that. You can also use it to see who has had content shared the most. 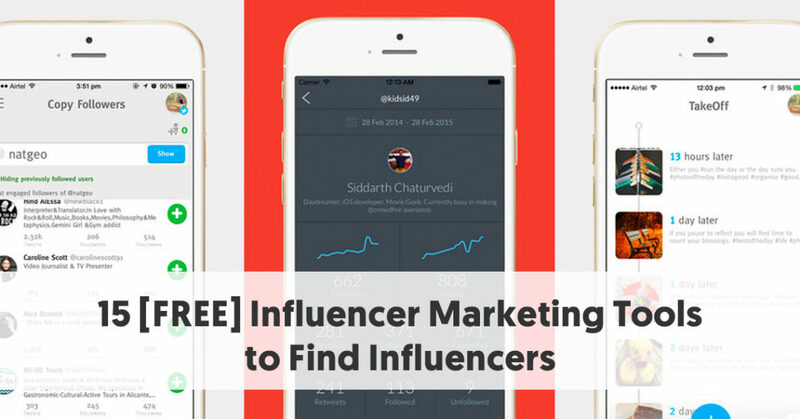 It includes an Influencers and Outreach section which allows you to find, analyze and follow influencers. You can sort this in many ways to determine who are the most important influencers on social media in your niche. You should probably concentrate more on influencers’ domain authorities than on their followers. If you want to build up a relationship with an influencer you also need to ensure that he or she has a reasonable retweet ratio – something near 20% or higher. If he/she doesn’t retweet then you are unlikely to be able to encourage that person to share your material. You can only see the top 10 influencers in a list with the free license, though. You might consider taking out the short-term free trial of the premium version to give you more time to find influencers. 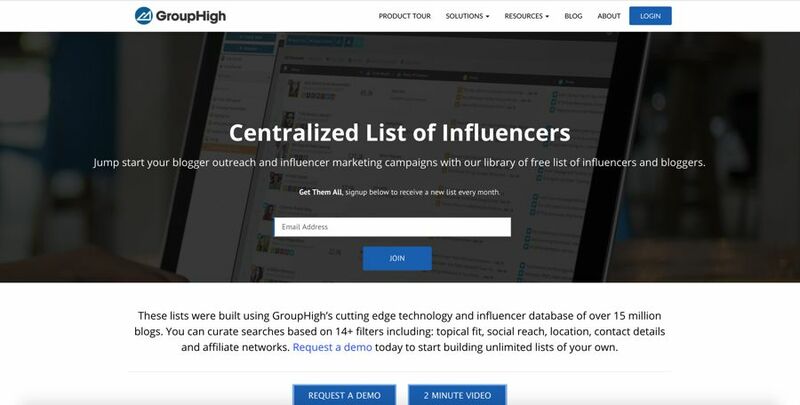 While you can scarcely call GroupHigh a Free Influencer Marketing Tool (it as a fully-featured platform) they do have one section of their site that could be very useful to a small business wanting to begin influencer marketing on the cheap. They provide a series of 12 free centralized lists of influencers connected to particular niches. They built these lists from their platform’s influencer database. If one of these lists covers your niche you could use it as a starting point for determining influencers in your niche who you could approach.